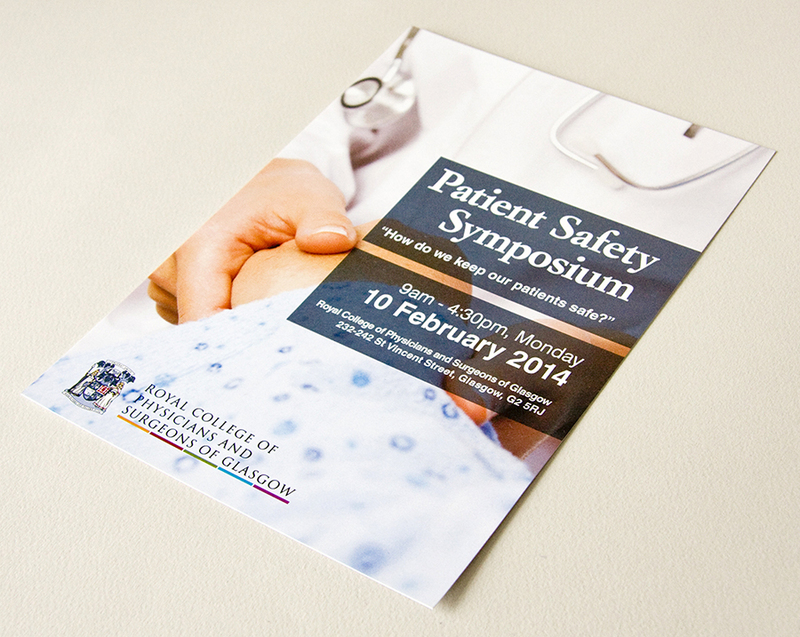 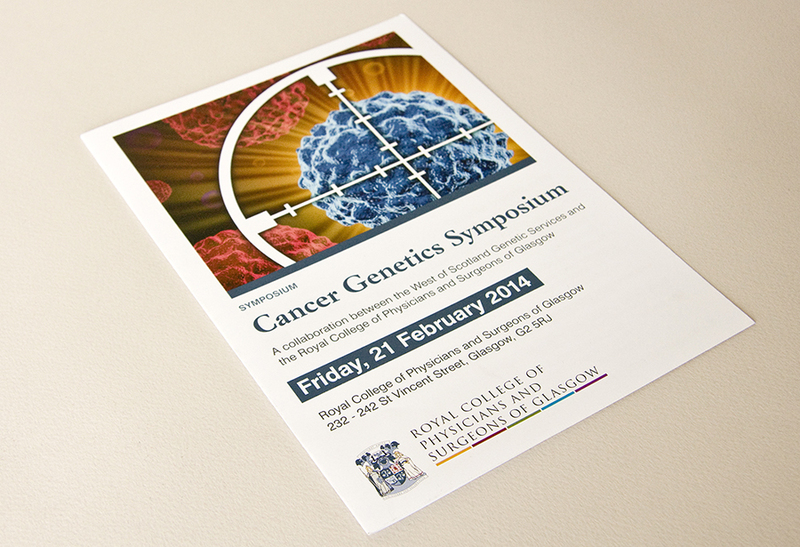 At the Royal College of Physicians and Surgeons in Glasgow I updated their event items: a A5 flyer and folded flyer. 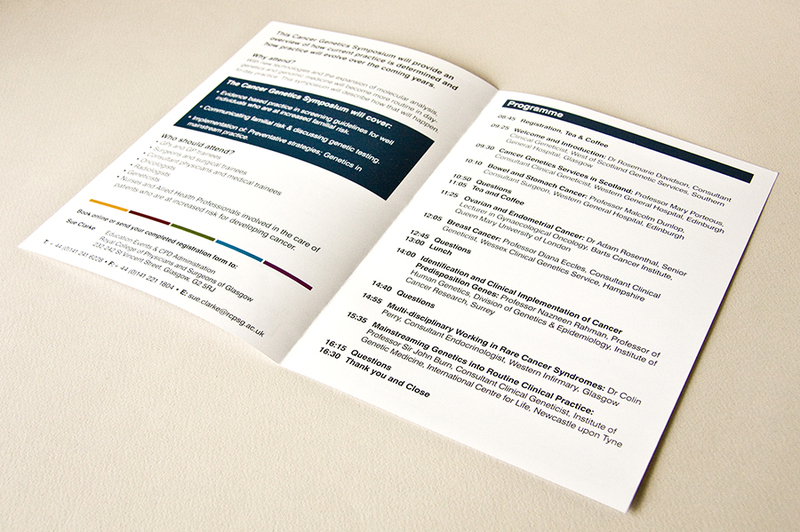 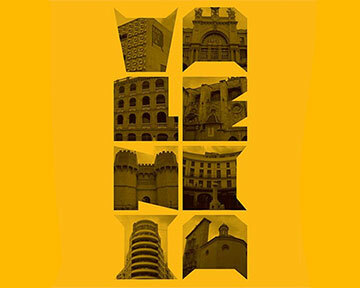 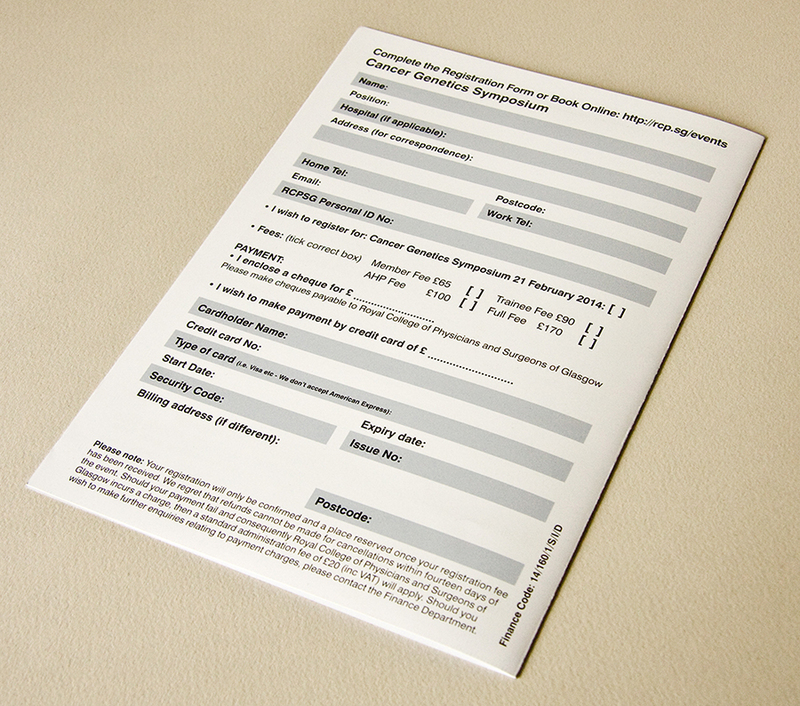 The InDesign templates used to create their fast turn around items needed much improvement and as did the file system used to manage the many events the college holds each year. 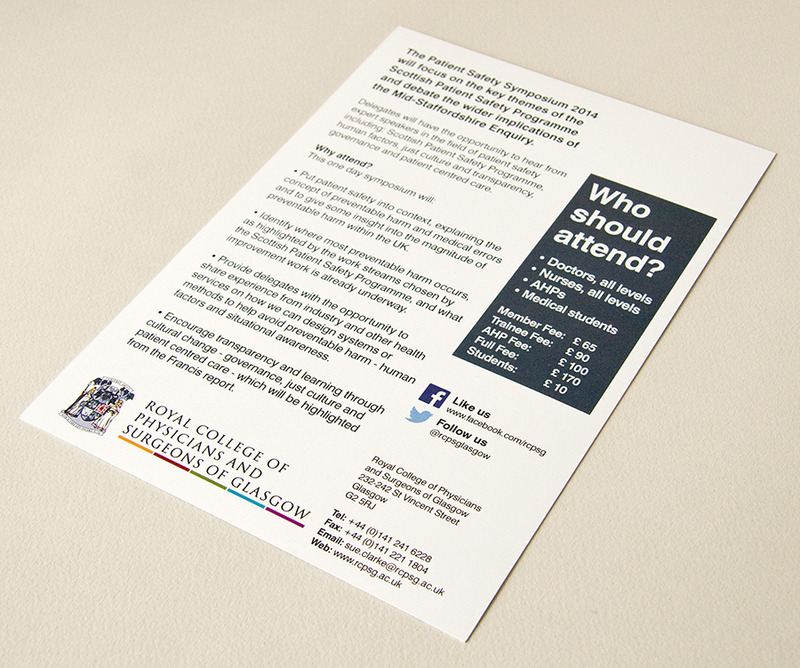 As a result the two examples here show the outcome of my efforts in helping the college relay their events and maintain their branding.